You can get to know more about me on the following pages! Hi, Pepper! This blog looks great. I hope all of you have great fun writing it! Greetings from Seekerville. Thank you so much for stopping by. It’s MY pleasure to sing the praises of Seekerville whenever possible. I just hope that The Writers Alley can bring as much info and encouragement as Seekerville has. I’m so glad I stumbled upon your blog. I love that you’re challenging other writers. And I love that you’ve broken the genre mold. I went to a writers conference almost two months ago and all the classes seemed to be telling me you need to find your genre. I read every genre, therefore I write every genre. I can’t help it if the stories in my heart don’t line up. That’s what makes them different stories. I apologize for the rant. I just wanted to say that I find your blog to be really encouraging. I’m sure I’ll be back. Ooh shoot i just wrote a large comment and as soon as i strike reply it came up blank! Please tell me it worked correct? I dont want to upload it again if i do not have to! Possibly the weblog glitced out or i’m an idiot, the second option doesnt surprise me lol. thanks for an excellent blog! My college has aked me to study local websites. I discovered yours and think its awesome. Awesome site. I love the design. Will be back shortly to see what else is going on in here. Hi Pepper, I read your ‘short story’ IT HAD TO BE YOU and fell in love with it. I was hopeing you were going to be writing inspirational novels but I can’t find any. I got so caught up in your style and would live to read more. Linore Rose Burkard had it on her page once a long time ago and I copied it off. I see you won an award for it too. I’ll be praying it will happen so I can enjoy more of your inspirations. Pepper, I came upon your site when I clicked to read the “pee pee” article and truly enjoyed what I read. I am so proud of you and your accompishments! It does my heart good to see your success but most of all your devotion to God. Wishing you all the best in your writing aspirations. 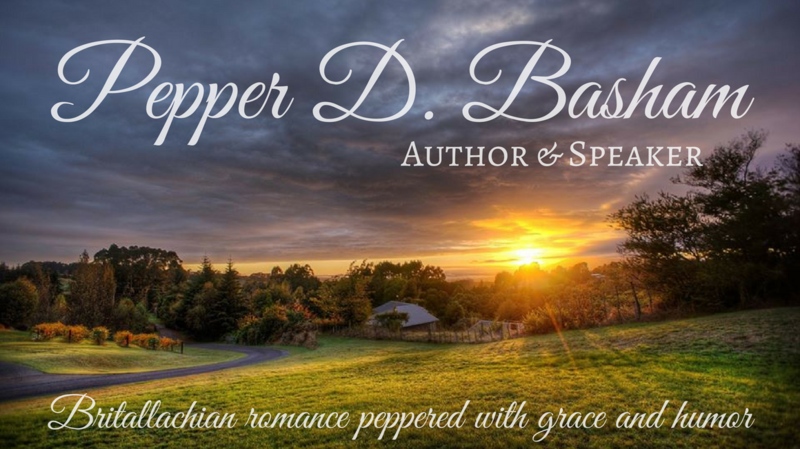 Dear Pepper – I was blessed to receive a pre release copy of My Heart Belongs in the Blue Ridge from NetGalley and have published my review there and also on my blog, http://www.christiannovelreview.blogspot.com. I loved it for the good story and excellent Christian message. It is the first of your books that I have read and it most certainly will not be the last!